If you’re a city dweller who can’t make your way out to the country to pick fresh produce, a new project in New York City will bring the farm to you via boat. 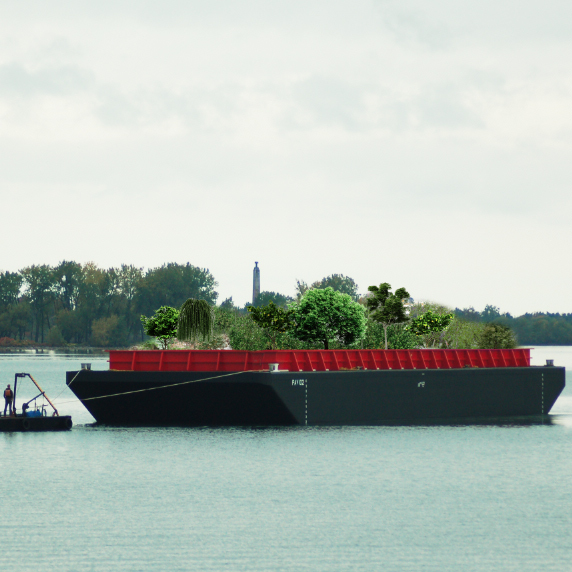 Described as a “floating food forest,” it’s part legit farm and part art project, all peppered with a bit of far out thinking. If the operation works as planned, around 300 people a day will be able to pick freshly grown foods like beets, asparagus, kale, chard, raspberries, huckleberries, arugula, leeks or artichokes on the barge, but organizers say it’s also “dedicated to rethinking and challenging New York City's connection to our environment.” The whole project has also taken a heavy dose of engineering, including figuring out how to desalinate and purify water sourced from the city’s not so clean waterways.